Our aim is to train and equip pastors and other church leaders to teach the gospel of Jesus Christ in a holistic way to protect the Church against incorrect teachings. Pray for God’s protection for his Church against false spiritual teachings. Pray for God to give pastors courage to insist on teaching theologically sound messages. 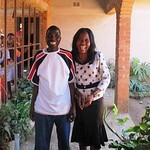 Reaching out with the gospel and humanitarian assistance to people surviving HIV infection. The aim of our ministry is to love and support vulnerable children and their caregivers by meeting their educational, physical and psychosocial needs. Alcanzar con el Evangelio y asistencia humanitaria a las perdonan que sobreviven a la infección HIV. We focus on making Christ known to vulnerable children and their caregivers as we meet their educational, physical, and psychosocial needs.